Denver was considered the underdog going into the AFC Championship Game against the New England Patriots. People were expecting the Patriots offense to come in and put the Broncos defense on their heels a little bit behind the strength of Patriots quarterback Tom Brady. And as for the offense of the Broncos, everyone thought that this could be Peyton’s last game. But little did we know the Broncos would have something for the Patriots in Denver today. The Broncos held Tom Brady in check for most of the game and the offense was just effective enough as the Broncos won the game 20-18 and punched their ticket to the Super Bowl. And just like that, Manning plays on. For the Patriots, a season that started so well ends in the bitter taste of defeat. The Brady versus Manning battle actually proved to be much more than these two Hall of Fame quarterbacks. The big question all week for the Denver defense was how they would cover the Patriots in the passing game. The Patriots have one weapon that many have trouble covering in the NFL: Rob Gronkowski. The big tight end out of Arizona is a matchup nightmare with his size, speed and soft hands. Coming into this one, the Broncos were aware that he would probably get his. And pairing him with shifty wide receiver Julian Edelman could cause big problems for the Broncos because of all the rub routes and things the Patriots run. But the Broncos counteracted all the things the Patriots do in the passing game with their front four. Brady was constantly under pressure all game long and that was enough to force two interceptions and also 3.5 sacks in this game. It seemed like the Patriots offensive line had no answer for Von Miller, Derek Wolfe and the Broncos front line. And because of that, the timing was off in the passing game for the Patriots. Brady was not able to set his feet in the pocket a lot and was often running for his life. And that resulted in some inaccurate passes along with plenty of passes thrown away to the sidelines. The final drive was something that could have come back to get them, as they let up just a little and let the Patriots have a chance. But in the end, they turned it up one more time and forced Brady into a mistake on the two-point conversion, missing the opportunity to tie the game. Offensively, the Broncos were not exactly the greatest all season. The running game was inconsistent and the passing game was not very dependable either. Despite people wanting to see Brock Osweiler and thinking Peyton Manning was done, Broncos head coach Gary Kubiak went with the veteran Manning when it mattered the most. And so far, Manning has not disappointed him or the fans of the Broncos. Last week his wide receiver corps had a ton of drops and that almost cost them the game. Wide receiver Demaryius Thomas was a disappearing act in this game. And so far for the playoffs, he has only caught six passes for 52 yards and has scored no touchdowns. But when he did not show up, the passing game did not stall. Tight end Owen Daniels may not have put up big numbers, but he was big in the redzone for Manning. He caught two passes all game and both of them were for touchdowns. Manning hit Daniels across the middle off a blown coverage from the Patriots for the first touchdown of the game. And for Daniels second touchdown, Manning hit Daniels in the corner of the endzone, beating Patriots linebacker Jamie Collins. The usage of Daniels was good early in the game and allowed the Broncos to open things up just a little offensively. The Patriots defense would only allow six more points the rest of the gsme. But with how well the Broncos defense was playing along with the running game getting going down the stretch of the game, Denver was able to hold the Patriots off. The Broncos now go to where some had them at in the beginning of the season: the Super Bowl. And along with that, Peyton has a chance to cap off this season with a championship. If you take a look at the Broncos six weeks ago, no one would have saw this coming. Manning was out injured and Brock Osweiler was starting. And along with that, no one knew what to expect from this team as they tried to hang on and make the playoffs. Amazing how much things can change over a small amount of time. And now the Broncos will move on to the Super Bowl in what could be Manning’s swan song in the NFL. It will be interesting to see what they do on the big stage. It has now come down to Conference Championship Weekend. Four teams with dreams and aspirations still alive to win the title. In these big games, the pressure will be heavy. The plays that are or are not made could go a long way in determining this one. And this is also one of the games where special players play their best or miss their opportunity. For these four teams, the time is now. There is no tomorrow. Without further ado, here is the General’s Proclamation for Conference Championship Weekend! The Broncos’ defense was good enough to get it done last week versus a depleted and injured Pittsburgh offense. And good thing they were playing well because the Denver offense was decent at best. They were dropping passes right and left and the running game was inconsistent as it has been. In this one, the offense needs to be better. And with that being said, look for them to at least drop less passes in this game, led by wide receiver Demaryius Thomas, who will catch at least five passes for 80 yards and a touchdown, as he shakes off his big-game struggles. The Patriots looked like themselves offensively because of the return of wide receiver Julian Edelman. The veteran wide receiver can be seen regularly running patterns across the field, constantly getting open. In this game, look for him to have some fun. The Broncos are a team that plays a lot of man-to-man defense and crossing patterns are great for beating that coverage. Look for Edelman to get at least nine receptions for at least 120 yards and one touchdown. To counteract Tom Brady and his offense, the Broncos will need to mix things up. We all know that Denver Broncos defensive coordinator Wade Phillips does not like to mix up his coverages, but he may be forced to in this one. But no matter what defensive coverage he switches to on the backend, he must get pressure from his front seven. And with that being said, look for the Broncos to get home at least four times, with pass rush specialist DeMarcus Ware getting one that forces a turnover. Defensively for the Patriots, they will need their linebackers to be good in disguising coverages. If they are not, then that makes it easy for Peyton to figure out what is going on and then attack it (there will probably be tons of “Omaha” calls made). With that being said, look for the Patriots to get Peyton Manning at least once. And by getting him, I mean tricking him into an interception. 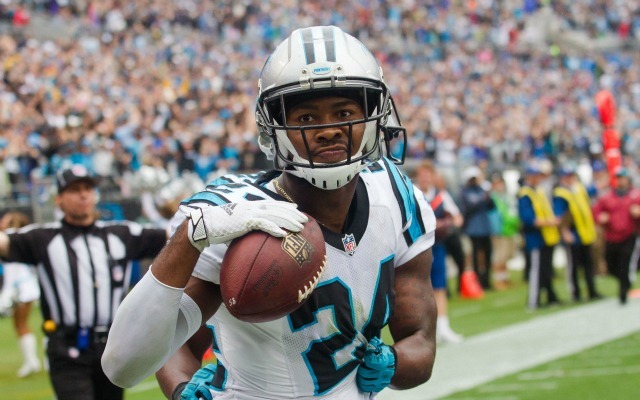 The Panthers started out strong last week against the Seattle Seahawks. They got out to a 31-0 lead and hung on for the win. A big part of that win was them running the football. It is the thing that gets their offense going. Arizona isn’t exactly the easiest team to run against, so this will be a challenge for them. A challenge that has to be answered first by running back Jonathan Stewart. Look for him to have at least 20 carries in this game and around 80 yards rushing with a touchdown. The Cardinals did not play their best game, but they were able to fight off a feisty Green Bay team in overtime. Carson Palmer did not play like the guy many thought was in the MVP race this year. And in this game against the Panthers, the Cardinals better hope he plays better than last game. In this game, look for him to be more responsible with the football. He will have only one interception in this game. The matchup of Panthers cornerback Josh Norman versus Cardinals wide receiver Larry Fitzgerald will be fun to watch. Both play with an electricity and a passion for the game. And although one is more talkative than the other, they both get the job done. I expect Norman will not be on Fitzgerald all game due to the defensive alignment of the Panthers. But when both are matched up on each other, look for Larry to have only one or two receptions on him. Norman got victimized last week and I expect him to come out ready to go in this one. It’s the most important game he has played in. The one guy that makes a huge difference for this Cardinals defense is linebacker Deone Bucannon. He is an undersized linebacker, being that he was a safety to start the season. But he has played well and helped the Cardinals defense be solid if not spectacular this season. Look for him to get at least 8 tackles in this game as he flies all over the field. But the key thing to watch in this game is how he gets off blocks in the run game, which is huge for the Panthers. Both teams have running games and both offenses can be explosive in their own way. But the difference in this one will be the quarterback play. Both defenses will be stingy against the run sans a few good runs to make numbers look better. But for Carolina, having Cam Newton at quarterback will eliminate the bad plays and turn them into good gains on the ground and thru the air. The Panthers head to the Super Bowl on the strength of a 30-20 win. The Cardinals had a great run, but this is the end of it in Charlotte. Both of these games will have some drama in them. And there will be some moments of doubt for both teams. But it’s about which team can overcome the bad plays and make the least mistakes. 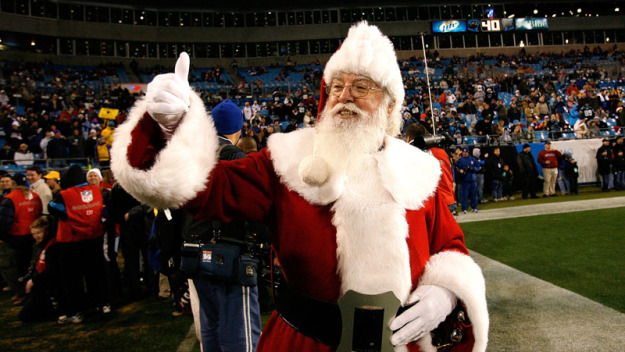 And with that being said, look for a Panthers/Patriots Super Bowl. The best two teams will be left standing. The Chiefs were flying high after their beatdown of the Houston Texans on Wild Card Weekend. They played so well that many thought they could come into New England’s Gillette Stadium and beat the defending champs. But apparently someone forgot to tell the Patriots they were supposed to lose that game. 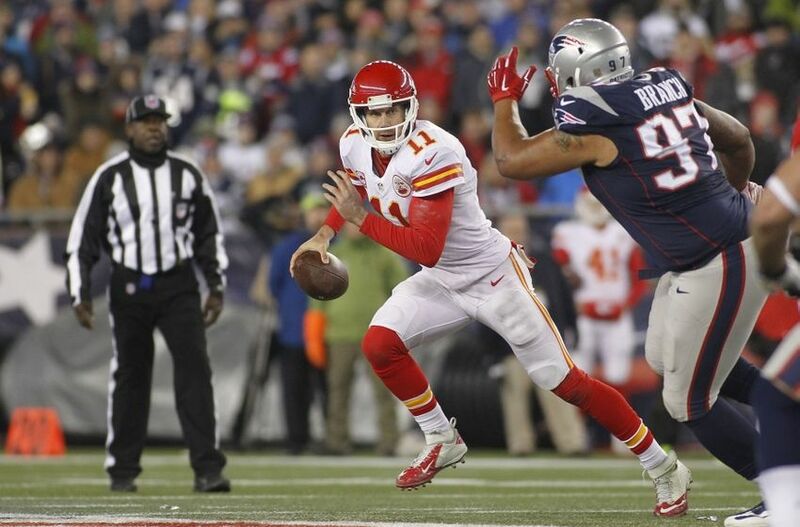 The game was slow at first, but the Patriots eventually pulled away from the Chiefs. Now the Chiefs did make a run at the Patriots late. They got a late score to pull within seven points. But they could get no closer than that as the Patriots closed out the game 27-20. The Patriots now await the winner of the game between the Pittsburgh Steelers and the Denver Broncos as they go to their fifth consecutive AFC Championship game. And like usual, they handled their business like they were supposed to. The Chiefs lost and thus went their eleven-game winning streak along with their season. And unlike last game, the things that went their way against the Texans went the exact opposite way against the Patriots. And now they are going home. The Patriots went and took the game and the Chiefs just allowed it to happen. The Chiefs had a couple drives where they were converting third downs in the first half. And those drives allowed them to get deep into Patriots territory. With how those two drives were going, it looked like the Chiefs were going to score a touchdown. But unfortunately, the Chiefs could not finish off the drives. They had to settle for two field goals for only six points. The Patriots defense was able to make the plays to save the touchdown instead of just allowing the Chiefs to score. One thing the Patriots did to limit the Chiefs in the redzone was take away their best weapon, tight end Travis Kelce. The Chiefs used bracket coverage on Kelce and forced Chiefs quarterback Alex Smith to either make a perfect throw or look for someone else. Smith chose the later and there were no other people he could find. And thus the field goals that the Cardinals were left to take. On the other hand, the Patriots scored two touchdowns in the redzone. They drove the length of the field on two big drives as Brady methodically took them down the field. On their first drive, they finished it off by getting Gronkowski matched up one-on-one on the outside versus Chiefs cornerback Sean Smith. And even though Smith is a tall corner (listed at 6’3”), he was still small compared to Gronk. He ran right at Smith and just boxed him out like in basketball. As soon as he turned around, Brady had the football right there for a touchdown. And on the second touchdown drive, Brady scrambled uncharacteristically scrambled all the way to the one-yard line. And from there, he ran the quarterback sneak to score. That difference of a touchdown or a field goal is what separated the Chiefs from the Patriots in the first half. And unfortunately for the Chiefs, they were not able to take away Gronkowski like the Patriots were able to take away Kelce. Another issue that happened with the Chiefs was clock management. The Chiefs were down by 14 with about 7:28 seconds left. The Chiefs had to get a stop to keep the game within striking distance. And the Chiefs got exactly what they needed and were able to save all their timeouts. The Patriots punted to the Chiefs and they got the ball back on their own 20 yard line with 6:29 seconds left. You would think the Chiefs would be wanting to pick up the pace and score as quickly as possible. But instead of doing that, the Chiefs seemed to take their time making their way down the field, facing at least two big conversions on third and fourth down. The good think if they made their way down the field and eventually got a score. The bad thing is they wasted too much time in doing so. The Chiefs actually could have scored before the two-minute warning, but they ran the football on first and goal at the one-yard line and were stuffed. The Chiefs scored with 1:13 left and all three timeouts left too. But with such a little amount of time left, the Chiefs were only able to do an onside kick and hope their defense could stop them and stop them quickly. That did not happen at all for them and they lost the game. Time management has been an issue for Chiefs head coach Andy Reid since he was coaching back in Philadelphia. And unfortunately for him, it reared its ugly head again at the wrong time. If they would have picked up the pace and threw the ball down the field more on that last scoring drive, then they would have given themselves a better chance. The Chiefs had their chances to win the game today. But in a game of this magnitude, you have to take advantage of your opportunities. The Chiefs did not take advantage of them and the Packers continued to miss them over and over. And as a result, the Chiefs are headed home and their win streak is over. Maybe next year the Chiefs will continue to grow their offense to where it isn’t a surprise when they stretch the field with their passing game. And hopefully they add more weapons in the passing game to make themselves even more dangerous. But as of right now, they can only think of what could have been while the Patriots continue their winning ways. The Wild Card Weekend was indeed wild. We had a missed kick to win the game, a team lose their cool down the stretch, a team pulled a no-show and one team that ran out of steam. And just when you thought it could not get any better, here come the Divisional Rounds of the playoffs. We have some great matchups. In the NFC, we have two rematches. In the AFC, there is one repeat matchup and there also the hottest team in the NFL going against a banged-up Patriots’ team. This weekend, you can look for some unpredictable and mind-boggling plays. Welcome to the General Proclamations for the Divisional Rounds. Alex Smith was solid versus the Houston Texans last game and that was all because of tight end Travis Kelce. Eight of Smith’s seventeen completions went to Kelce last week. Look for the Patriots to make him a focus. And because of that, he will not have more than 4 receptions in this one and no more than 40 yards receiving with no touchdowns. For New England, Tom Brady has two weapons that are limping into this one. Both tight end Rob Gronkowski and wide receiver Julian Edelman are both questionable coming into this one. But that means another guy has to step up. 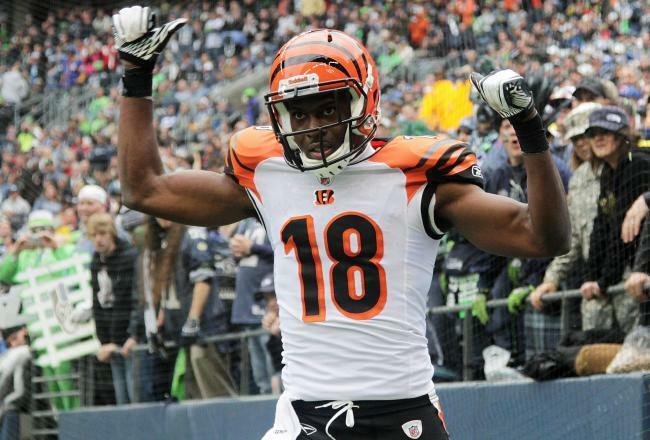 Wide receiver Brandon LaFell has had drop issues, but he has an opportunity to step up and make some plays. With so much attention to Edelman and Gronkowski, look for LaFell to have at least 5 receptions for 80 yards and a touchdown. The Chiefs have a star in defensive back Marcus Peters. 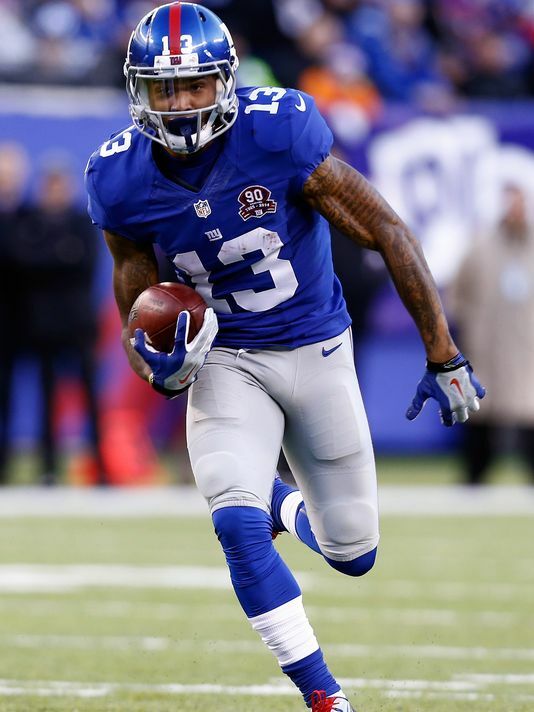 The rookie quickly struck fear in opposing teams with his propensity to make big plays. And in this one, he will definitely make one big play. Look for him to pick off Tom Brady in a crucial part of the game. The Patriots are the walking wounded in this game and the Chiefs are not doing much better. In this battle of attrition, look for the Patriots to survive by the skin of their teeth, 22-17. The Packers were destroyed in Week 16 when they visited Arizona last time. Their offensive line was completely destroyed in the last game. In this one, it would be a logical conclusion to think Aaron Rodgers would be spending time looking up at the lights of University of Phoenix Stadium. But he will get sacked less in this game mainly because of the adjustments of Mike McCarthy. Look for the Cardinals to get to him, but only get to him roughly three times. The Packers also struggled defensively last time when they played the Cardinals. 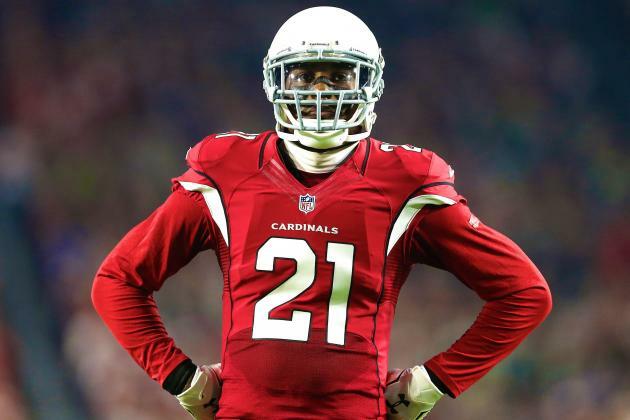 Their cornerbacks were exposed versus the wide array of weapons the Cardinals have on offense. Look for them to equip themselves better, but veteran wide receiver Larry Fitzgerald will still have himself a game. Look for Fitzgerald to have at least 6 receptions for 90 yards and a touchdown. The running game for both teams will be paramount. For the Cardinals, they have rookie David Johnson leading the charge. For the Packers, they have a tandem of Eddie Lacy and James Starks with wide receiver Randall Cobb sprinkled in there some. Needless to say, the running could be rough for both teams. Look for both team to not get over 100 yards rushing in this one. 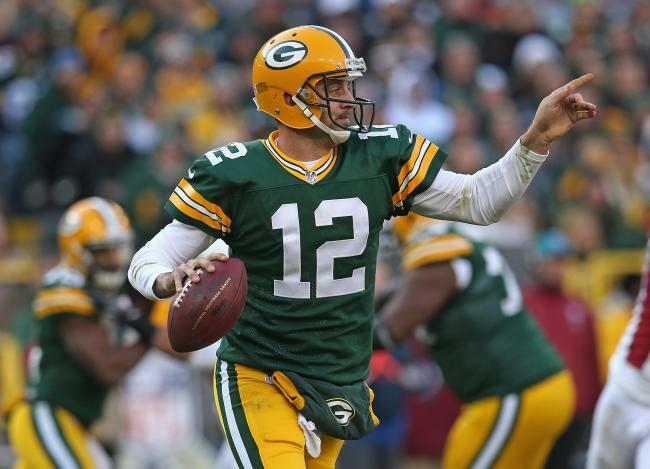 The Packers looked like they found their rhythm last week versus the Washington Redskins. But of course, the Cardinals are a different breed of defense than they faced last week. Look for a closer game, but the Packers will still taste defeat. Cardinals win 27-17. The Seahawks offense was dormant for almost all the game last week versus the Vikings last week. 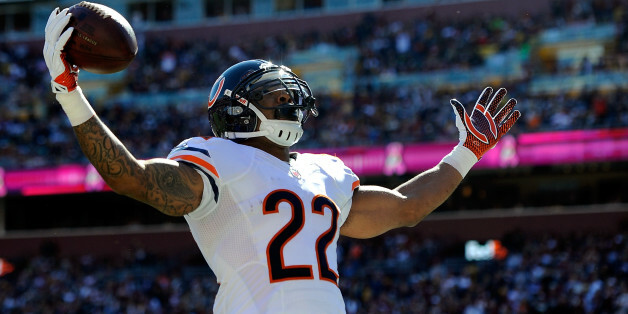 The biggest thing that held them dormant was the lack of a consistent running game. With Marshawn Lynch apparently ready to go in this one, the threat of the running game increases and will help loosen things up for Russell Wilson. Look for him to throw for at least 250 yards and two touchdowns in this game. But don’t get too confident Russell and test Josh Norman. That would not end well. The Panthers have been relaxing, waiting to see who they were going to play. 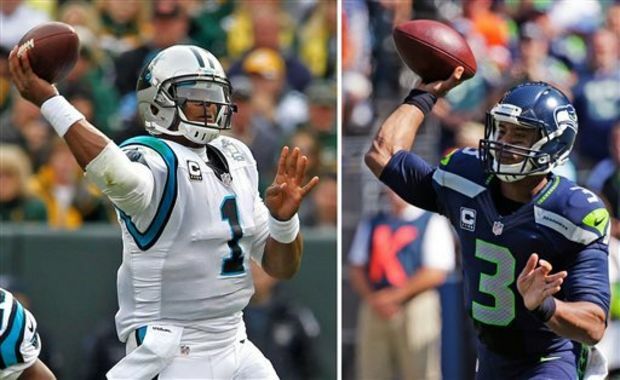 In playing the Seahawks, they face a team that is as physical as they are. And in that, the running game will be slowed down. Look for Cam Newton to supplement the running game with his running in this one, making plays out of no plays when Cliff Avril and Michael Bennett are bearing down on him. He will get at least 4 first downs with his feet in this one and run for at least 70 yards. Both defenses are aggressive, fast and physical. And both of them like to get to the quarterback. But sacking both of these quarterbacks is no easy task. Expect Russell and Cam to both be sacked only two times apiece. But of course the pressure will be on them both all game long. This one will be a physical ballgame with big plays made on both sides of the ball. But in the end, the Panthers will make more and behind the strength of Super Cam, the Panthers will march on to the Conference Championship Game, 23-17. The Steelers offense is the walking wounded coming into this one. Running back DeAngelo Williams will be sitting out a second game in the playoffs due to a foot injury. Wide receiver Antonio Brown is out, still recovering from a concussion suffered in last week’s win versus the Bengals. And quarterback Ben Roethlisberger is scheduled to play despite a couple injuries to his shoulder. But even in that, the Steelers still have weapons. Look for wide receiver Martavis Bryant to step up and be the man in this one. He will have at least one touchdown and have 100 yards receiving. He has accepted the challenge that Big Ben laid down for him to start the postseason. The Denver defense is tough, but Bryant can be a special player. The Broncos have decided to go with Peyton Manning at quarterback after the comeback he engineered in the season finale versus the San Diego Chargers in a relief role. It seems that people have hope that Peyton will lead this team to the win this week. 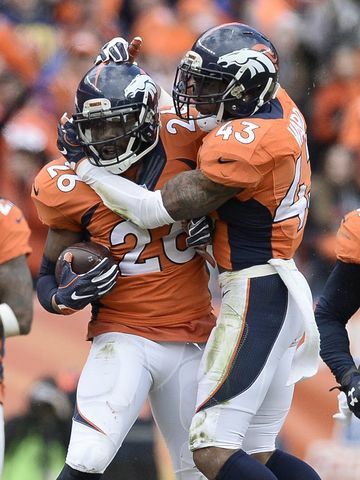 But in this game, the running back tandem of Ronnie Hillman and CJ Anderson will be the barometer. Look for both to try and run the ball in this one, but not combine for over 100 yards rushing. The big matchup in this game for the Pittsburgh defense will be their secondary versus Emmanuel Sanders and Demaryius Thomas. But that matchup will not be decided by the wide receivers and secondary. The offensive line of the Broncos versus the Pittsburgh front seven will be the matchup to determine how the passing game attacks the Steelers. Look for the Steelers front seven to put some stress on the Denver offensive line. The Steelers will get at least three sacks in this one and cause some problems for Manning and his receiving threats. The Broncos are at home, but the Steelers are tough and battle-challenged. Roethlisberger is injured, but he seems to play better when he is injured, like Rocky used to fight better in his movies when he was getting pummeled. This one will come down to the wire, but the Broncos will succumb to the Steelers 20-17 in clutch fashion.